We are a company dedicated to producing high quality, custom made frames. Simple, elegant, refined. These are the qualities of Epsilon's handmade, custom-built frames, a result made possible by paying loving attention to our frames every step of the way. From the design and wood selection, to crafting and sculpting, to the final steps of gilding and finishing, the skill and care of Epsilon's master craftsmen and artisans shine through in every frame we make. Our frames now hang in some of the most prestigious museums and galleries around the world. Some of the greatest artists in history, such as Picasso, Buffet, Renoir and Warhol are now being displayed in Epsilon frames, as are stars of China's contemporary art world, such as Wang Guangyi, Chu Teh Chun - and Yue Mingjun, to name a few. For centuries, handmade, custom-built, fine art frames have been the standard for the best museums and collections throughout the world. Now, for the first time, these first-class frames are being made in China. 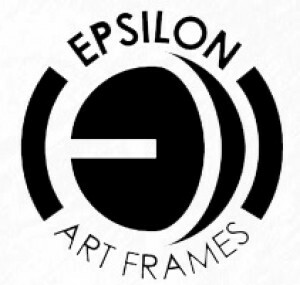 With great pride, we of Epsilon Art Frames warmly welcome you to join us.